Source: Glass negative. Photo by George Barnard. 1864. 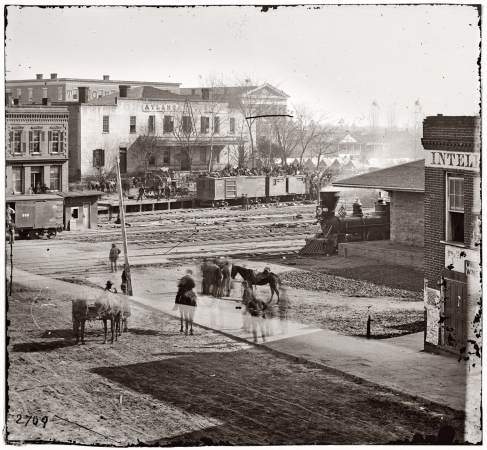 Soldiers on boxcars next to offices of the Atlanta Intelligencer during the city's occupation by General Sherman.